David Peed is the VP and General Manager at Equinix Government Solutions, an interconnect activity and hosting provider. Prior to coming to Equinix, he held leadership positions at Verizon, Qwest and Ciena. He was introduced to the Sales Game Changers Podcast by past guest Mike Maiorana at Verizon. David Peed: Equinix is an interconnect hosting company and I led with interconnect because truth be told, that’s the true value of the story of Equinix. We’re not data center providers and corn fields, we actually look for where dense fiber plant is in most metropolitan cities, NFL cities in the continental United States. We have 200 data centers worldwide, so we’re by far the largest data center hosting company, but the true value of the company is the interconnection piece. The company started in the late 90’s as a neutral spot for the carriers to do interconnection to share their customer bases and from that it spawn from, you may imagine, going from just the tier 1 carriers to the cloud providers to enterprise. I came on board in September of 2017 to execute the mission on the government side. Fred Diamond: Very good. Tell us what you run, you run all federal and state and local, or just federal? David Peed: Right now, federal. 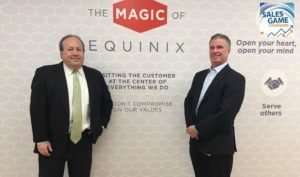 We’re really focused on getting the fed government piece up and running and as you may know, in May of 2017 Equinix acquired Verizon’s data center assets so 29 data centers globally that Equinix bought. At that time, the federal piece of it which many will remember as Terremark Federal Group was a subsidiary at Verizon, did not transition over. That didn’t transition over until July of this year, so I’ve got 36 new employees that were contractors to me from the time I came here in September until July, but now we actually own all those 36 employees and the assets for Verizon, most noticeably Miami and Culpeper, Virginia for the federal piece of the Verizon data centers. The true value of the acquisition for me was the people because I obtained 36 people who most of them are ex-military and many of them are just wed to the mission of the government. Fred Diamond: Before I ask you about your sales career, we have a lot of Sales Game Changers listening to the podcast from around the globe. What might some of the things be that the government would be using Equinix for? Is it the government cloud? Explain a little bit about what they’re actually purchasing from you. David Peed: It’s a great question. I think in essence, what we’re seeing a lot is a hybrid cloud approach to where the government will put some other applications into the could, but some of it they want to retain some control over and that’s what we allow them. They’re actually moving the demarcation point of the agency to an Equinix data center, that allows them to interconnect with any cloud provider they want and through our cloud exchange fabric which interconnects our data centers globally. They in essence can not only access cloud providers in the data centers that they exist, they can access cloud providers in other data centers we have. It really gives them a tremendous amount of flexibility, also because most of the cloud providers have space in our centers, they give big discounts to interconnect through Equinix because it’s actually cheaper for the cloud providers to do the interconnect at Equinix. It is actually most of the time at their own location. Fred Diamond: Tell us about your sales career, let’s talk about that a little bit. How did you first get into sales as a career? David Peed: That’s a great question. My first job out of college was as a telecom technician, I was in essence climbing telephone poles at C&P Telephone Company. My second job, I was a receptionist at the US House of Representatives for the clerk of the House and they actually put me in the office equipment service, so I was answering the phone for the office. It was buying office equipment for members of congress. At that time, all the sales reps were coming in to sell office equipment to the members and we were the place where they came and made their pitch. I would see all the sales folks come in snappy dressed and whip the Rolex watches and I thought, “When I grow up, that’s what I really want to do.” I actually tried to start my career going into sales at the house, but I quickly learned that that job was coveted in many of the companies that the sales reps had long tenures at their companies before getting that type of assignment, but that’s what really inspired me to get into sales. Fred Diamond: Where was your first sales job, what company was that with? David Peed: My first sales job was with Bell Atlantic, so my follow was a C&P retiree and I always had in my mind that I wanted to work for the phone company and actually part of my US house representative jobs after being promoted out of a receptionist role, I actually ran the pager system that the members carried for their house votes. As part of that, I learned to pager so my first job as I was trying to get into sales, everybody was like, “You don’t have sales experience” but I knew pagers so I got an interview at Bell Atlantic Paging. My first sales job was at Bell Atlantic Paging on a wireless sign selling in Montgomery County, Maryland. Fred Diamond: You’ve been through the whole telecom space, you’ve probably sold many things over the years. David Peed: Yes, I went from the wireless side in Bell Atlantic Paging over into landline side in the early 90’s. Fred Diamond: Was this a natural evolution for you to get to Equinix? David Peed: It was like coming home for me, because it’s like a hybrid telco/hosting with the interconnecting looking more like the telco piece and the hosting on the classic hosting side. Yes, it is and my boss, Karl Strohmeyer came from level 3 and now our CEO, Charles Meyers is also a graduate of level 3. It was a sort of homecoming in the telecom space for me. Fred Diamond: What were some of the key lessons you learned when you were able to make that move into sales at Bell Atlantic? David Peed: One of the key lessons I learned, especially in government sales was really understanding the mission in an agency. In the first job I had, I was assigned a central intelligence agency and I put in for my clearance and then I had three smaller civilian agencies that I was responsible for. The first thing I did – this was before the internet was a big thing – is I went to the library and I studied all the agencies. I had the National Academy of Science, the Peace Choir and National Archives along with the Central Intelligence Agency. I literally went to the library and started studying the agencies so I could really understand what they did, how many employees they have, what locations they were at. I think fundamentally, that’s what really helped separate me because I could go in and talk to the end user and have a pretty good understanding about what they did. Fred Diamond: That’s even more important today, there’s so much competition and the customer can get a lot of information on the internet and from social media, peer groups, if you will. The sales leaders need to clearly distinguish themselves and one way that we have learned over the Sales Game Changers podcast is by truly understanding the mission of the customer. David Peed: It’s so fundamental in government and in all roles up, the Department of Defense collectively execute a mission and then as you go into army, navy, air force, marines, obviously each one of those has a different mission as well. Then the buying center is underneath the Army, Navy, Air Force and Marines. Everything ticks and ties but understanding fundamentally the mission is, I think, the key to success in the government sales side of it because if you can help them execute their mission, that’s what they’re in need of. Fred Diamond: I’ve got a quick question on that. We’ve interviewed a bunch of people who have devoted their sales career to the public sector, federal, you have as well, evidently. What is it about that marketplace? Again, we have listeners around the globe who may not understand the government marketplace but why have you devoted your career to selling telecom related solutions, data solutions to the government marketplace? David Peed: The first is unselfish and the second is selfish. Unselfishly, you’re really helping, we’re saving lives and literally missions that we’re helping with the agencies. I feel like on a daily basis, some of the stuff that my team does will save somebody’s life. Selfishly, as I like to tell my friends, the economy’s good, the government spends money. The economy’s bad, they spend more money so it’s really a customer that you know fiscally is not going to go anywhere and depending on the climate and how the economy is doing, they may influx even more money. I found that it’s a fairly stable market. In fact, if I wish anything for my two sons, I would love to see them follow in my footsteps and get into the government sales just because I think it is very rewarding what you’re doing and it can also be very financially rewarding. Fred Diamond: Even when it’s tough, it’s still Fortune 1 so it’s still the biggest buyer of almost anything on the planet. Tell us what you’re an expert in, tell us a little more about your specific area of brilliance. David Peed: I’m going to tell you one professional and one personal. Professionally, I would say I don’t have one area of expertise and I think what’s really helped me in the last 15 years in my general manager role is I do understand every role fairly well, my passion is in sales and that passion is driven by every day is different. I learned over the last 4, 5 years not from a medical diagnosis but I’m fairly ADD and for me, the challenge of waking up every day knowing that every customer is going to be different, every mission is different, it’s challenging and that keeps me invigorated. Personally, I’m an avid horse racing fan and I would say that I’ve qualified for the national tournaments several times where I’m up against the top 200 handicappers in the world. I feel like if there’s one thing I can clearly claim stake to for expertise, it’s in handicapping horses. Fred Diamond: Did you grow up at Pimlico, I guess? David Peed: Pimlico, Laurel, Bowie, wherever they were running every Saturday with my dad. It’s a fun memory of my father, something I love because it’s analytical, I like to read and understand and learn about reading and certainly handicapping. I find it very stimulating, it’s more than just, “I’m going to pick a number out a hat.” Whether it helps me or not, I do enjoy studying it. Fred Diamond: I’d love to talk to you for the next hour about Beyer speed ratings and all these things. For the people listening to the Sales Game Changers, I grew up in Philadelphia and went to Philadelphia Park with my dad, it was called Keystone at the time and he was a pari mutual clerk at Liberty Bell race track a long time ago which is now a shopping mall. David Peed: Folks like us, Fred are few and far between. It seems like horse racing is somewhat of a dying industry and it’s great to meet somebody who understands it. Fred Diamond: When we’re done recording this show, we could chat for a little bit. The last thing is I actually once saw Spectacular Bid run, he raced at Keystone Park. Interesting to know and I’d love to share some stories off the course. Just curiously, the passion being horse racing, is there anything that you’ve taken from that in your sales career? Any skills or things that you’ve been able to apply? Obviously to get good, one of the top 200, you’ve got to look at numbers, you’ve got to analyze, you’ve got to think. Again, one of the challenges, for the people listening, with horse racing is that you can’t ask the horse afterwards, “What went wrong, buddy?” Is there anything you take from that that has led you to be a sales leader? David Peed: I think it’s very similar to doing your homework. I’m convinced that if you do your homework whether it’s in your hobby or in this case in sales, it’s going to benefit you. Are you always going to win? No, but will you put your best foot forward? Absolutely. I think for me, the mental stimulation of the sport is what also keeps me sharp professionally. Fred Diamond: Do you ever go up to Saratoga during the summer? David Peed: I absolutely do, there’s a tournament that they have in August right around my birthday. I hadn’t been for 30 years and I went back 4 or 5 years ago and don’t plan on missing another meet if I can help it. Fred Diamond: That’s an amazing place, Saratoga. Back to talking about your sales career, you’ve worked for some great brands: Verizon, Quest, Ciena, of course now you’re at Equinix. Tell us about an impactful sales career mentor and how they impacted your career. David Peed: In the beginning of my career, I think the two most notable were my first two so a guy named Rob DiRocco and one of my best friends, Ken Folderauer, the first two out of the shoot for me. Rob really taught me, not the art of the deal and not exaggerating, but just the chess match of sales, how to triangulate things into your advantage. Ken is the one I credit for “doing your homework.” No matter what he does, he does all this homework. If I’m going to buy a car or I’m going to buy a TV or anything, if I need an opinion I can call him and I can guarantee he’s done his homework. Fred Diamond: We actually interviewed him for the Sales Game Changers podcast, Rob is actually a great guest and we’ll put a note to Rob’s show also on the list here as well. Why don’t you tell us about the two biggest challenges you face today as a sales leader? David Peed: I think the biggest challenge everybody has is keeping top talent. When you get really good people and especially when you get into the cleared world where people are holding clearances or accesses, that makes them even harder to hold on to. I do think the political and fiscal climate in the fed space can really be challenging. There was a period of time at Ciena where to no fault of myself or my team, we struggled for a full year and it was really because of the fiscal challenges that the government was in. The budget can be your friend as we talked about when we started and how I enjoyed the fact that it is the #1 customer in the world, globally but if there’s challenges it can be extremely impactful. As a sales leader, getting and retaining the top talent can be difficult. Fred Diamond: Why don’t you take us back to the #1 specific sale success or win from your career you’re most proud of? David Peed: If it’s okay with you, I’m going to highlight two quickly. The first, when I talked about those three smaller civilian agencies. One was the National Archives and they had a location in College Park, Maryland, they had a location in DC. I actually studied the fact that they were running shuttle buses between those two sites four or five times a day, and at that time at Bell Atlantic they were on the WITS contract and with ISDN you could do data calls without paying any usage fees. I studied how many buses were going back and forth and how many people were on the buses, and I made a case to the facility’s management team to say, “You can do 24/7 video conferencing for the cost of the video conferencing gear and four ISDM lines on each side.” They bought it, and for me I was really proud because it went back to the roots of fundamentally analyzing a problem and then providing a solution that was really a no-brainer at that time. Fred Diamond: I want to pursue that for a second or two. Were they a customer of yours at that point? David Peed: They were, but they were not video conferencing customers and they weren’t ISDN customers so both the video conferencing room and concept was new, and that was a new installation for us for ISDN. Fred Diamond: What prompted you, did you get some direction from the company saying “We really need to get into video conferencing, now’s the time”? David Peed: No, I just looked and as I would go and visit my customer just trying to get to know them better, I kept seeing these vans pull out and it just triggered something for me saying, “Where are they going? They’re going from here in Adelphi, Maryland down to DC and back and forth.” I’m like, “If they have that much need to be between the two sites, wouldn’t it be efficient if they could do some video conferencing?” and the fact that we exploited the WITS contract which at that time you could do ISDN, BRI, PRI circuits with no data usage if you were within WITS to WITS customer, it really became a no-brainer and something I’m really proud of. Fred Diamond: For the people listening, what is the WITS contract? What does that mean? David Peed: That was the Washington Inter-agency Telecommunication Service and it was a GSA administered contract that fed agencies and DC metropolitan areas acquired off of. Fred Diamond: For the people listening to the Sales Game Changers podcast, one of the unique things about the federal government space is that you need to have contract vehicles from which the government customer can purchase. They had a mechanism to buy the solution because of that contract. Fred Diamond: I want to ask one or two more questions about this particular incident because one of the themes that we hear from the Sales Game Changers podcast is that you need to bring value to your customer that they don’t see. It’s probably one of the biggest trends that has to happen today to continue sales excellence. 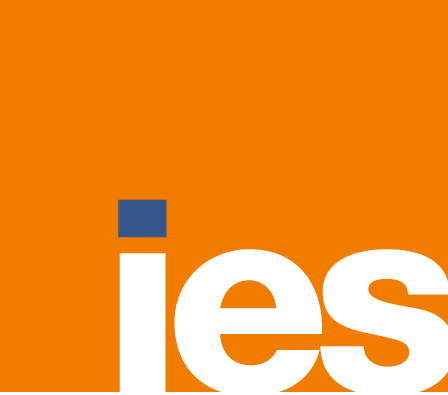 You notice these shuttles going back and forth, you knew you had the solution that the company was looking to bring, the video conferencing over the ISDN. How did that work? You went back to the office and said, “Boss, I have an idea for our customer” or did you put together a business plan or just go into a meeting one day with some slides? Tell us a little bit about what went from the inclination to actually getting the customer to purchase. David Peed: I went back and did the pricing of the equipment and actually the lines of what the monthly recurring rate would be and I did an unsolicited proposal to the customer, wound up turning around to an RFP that we eventually won. It worked out great, it went fairly quickly once I got to the point where I figured out the cost of the equipment and what the lines were going to be and putting it on paper and submitting it, it was shortly thereafter. We had the vehicle ready to go, so it went pretty quick. Fred Diamond: Last question from the customer’s side, were they looking for a video conferencing solution? David Peed: No, it was just a new concept for them. In fact, I think it cost them more money to redo the room that they put the video conference equipment in than it did for the video conferencing equipment. I didn’t feel guilty because they were spending too much money, but for me I recollect that that was not a thought in their mind. Once they went for it, they went hook line and sinker. Fred Diamond: Good for you. You said you had a second example as well. David Peed: Second example was in the classified world where my friend I spoke of, Ken Folderauer, there was a time where a particular customer was doing a trilogy, several different procurements one after another. We bid on one and we lost it, I’ll leave the details out because it was classified. Second one, I really thought we had a chance to win and nobody in the company thought we could win. Actually, out of 30 executives the only one supporting me was my buddy Ken Folderauer and sure enough, we wound up bidding that and winning that. That wound up being an anchor of what wound up being a big business for Bell Atlantic/Verizon in that space for them. Fred Diamond: David, before we take a short break I want to ask you one quick question. Did you ever question being in sales? Did you ever think to yourself, “It’s too hard, it’s just not for me”? David Peed: No. In fact, it’s probably exactly the opposite. I actually think to myself, “I don’t know what I’d be doing if I wasn’t doing the sales.” I feel like a fish in water, the challenge and the aspect of looking at something and trying to figure out a way that you can help and when you’re helping the government in a way that you know that in some instances you’re saving lives and other instances you’re saving money, you’re helping them be efficient, there’s a lot of reward that comes from that. I actually think the opposite, I’ve never questioned it and actually often think that I don’t know what I would be doing if I wasn’t doing this. Fred Diamond: We’ve interviewed so many people in the Sales Game Changers podcast and a lot of them do focus on the federal space because most of the people we’re interviewing are in the mid-Atlantic DC region. The ones who have served the federal government for 20, 30 years have all said the same thing. They know they’re doing some good helping citizens, helping people around the world because most government customers, that is their mission. They are mission-driven, they don’t make a whole lot of money in some of the jobs but they show up day after day. The process is a little bit inefficient of course, as we know but the mission is always one that’s excellent. David Peed: One comment on that, because I think you touched on it and I think one of the keys in government sales is finding those game changers in the government. Through my career, there’s been some folks who I think have been extremely impactful in government. You had a long time ago Kevin Carroll, army PEO-EIS who did great things for the army. You had Johnny Johnson and all of the things that he accomplished at general services administration, he also started his career at DISA. You have Cindy Moran who’s become a dear friend, who was a game changer at DISA. I think you have folks like that that really want to do something great for the world, finding those folks and befriending them is important. Fred Diamond: Dave, what’s the most important thing you want to get across to the junior selling professionals listening to today’s podcast to help them improve their career? David Peed: That’s a great question. I think the best I could tell them is take every opportunity to build your network and nurture it. I think one of the things that’s really helped me in my career is the network of people and you spoke about this in the last segment, about the folks that you meet in government and befriending them, and they go to different agencies and they go to industry and you wound up knowing these folks for years. Out of all the jobs I’ve ever had, I’ve been recruited for a zillion and every job I’ve had has come through a friendship that I have made in either government or industry. The biggest advice I can give these young folks is to build and nurture your network, take every moment, breakfast, lunch, dinner, any available moment you have, make sure you occupy it spending time with somebody that you want to get to know or that you know and you want to get to know better. David Peed: Great question again. I think this is going to be on the personal side, I work out four or five days a week. I get up really early in the morning and I find myself on the elliptical for 45 minutes to an hour, and I think that physical aspect to that keeps the mental side fresh. I use that hour as a time to reflect on the day and analyze and think through what I’m going to do that day, what I’m going to do that week, what I’m going to do that month. I think between the goodness that it helps me on the physical side as well as that time alone and time for me to think about what I’m doing has really helped me stay sharp. David Peed: Still just working and growing that network of folks. Right now, I think most of that’s demonstrated on some board work that I’m doing. I’m on an advisory board for BlackRidge Technology, I was on the advisory board for Ciena Government Solutions. When I resigned, that was one of the things that my boss asked me to stay on and work as an adviser. Looking at it from that aspect has really helped me and sharpened my skills as well. Fred Diamond: David, sales is hard. You’ve had a great career, you’ve told us about some great successes but you’re in a very competitive space right now, not everybody necessarily knows all the value that your company brings. People don’t return your calls, government has challenges, you mentioned a couple budgetary things that come up every once in a while. Why have you continued? What is it about a career in sales that has kept you going? David Peed: Again, it’s that challenge that every day is going to be different. You have to really believe in the products that you’re selling. When I got the call from my now boss Karl Strohmeyer – I’m actually in an internal management role but I would but him up there with the best that I’ve dealt with in my career as far as a manager. I think that’s a way he approaches things very collaboratively as we discuss issues and topics, he’s a very bright guy. I went through a period of time where I started my business and I found it fulfilling but not as fulfilling as I do on the industry side and corporate side. Equinix just has a very unique culture and a very unique offering, and I think I’m hitting it right at the right time. When you combine the assets that we acquired from Verizon, most specifically the 36 individuals that I spoke of, I have a team of 50 folks addressing in federal space. It’s something new every day, it’s a great team of folks that I inherited and I’ve got a great team underneath me. Fred Diamond: Thanks again for all the great content today, I loved some of the stories, particularly I loved the story about the video conferencing and how you saw a need for the customer that they didn’t see, and how you were able to bring them something that obviously saved them millions of dollars over the course of time. Why don’t you give us one final thought to inspire the Sales Game Changers listening to today’s podcast around the globe? David Peed: If anything, my first job out of college was for $13,000 a year climbing telephone poles so if I can say anything inspirational it’s that it can happen to you. I think going to graduate school is a big step forward and the right direction for me, it took me 7 years but it was a big sense of accomplishment and I think that, not to be corny, but it can happen to you. If you can find yourself in a position if you’re selling to the government or even commercially to advance your agency’s or your company’s mission, you’re going to do well. The thing that’s also been a measure of success as an individual contributor or sales leader is focusing on a good strategy. If you’re trying to pay the electric bill and that’s all you’re focused on, I think you’re going to fail. If you map yourself out a strategy and execute off the strategy, you’ll pay the electric bill. That’s one of the things that’s really helped me as an individual contributor and a sales leader be successful is mapping out a solid strategy.